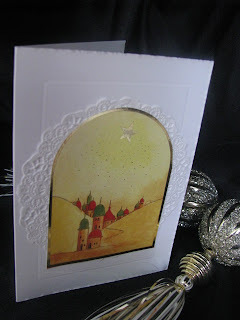 Well after meeting the challenge at Less is More in the previous entry, I was inkspired to keep on going and made serious roads into my Christmas stash of stuff. I did 12 cards in something like 90 minutes because I had the fronts or main images already stamped, embossed and cut or part thereof. I have broken the blog entries down to a few parts. Today's upload are all utilizing recycled Christmas Cards. I like to recycle all manner of things including pre-loved cards. I am just a big kid at heart and enjoy cutting out images that I liked, esp if they had a Christian theme. Even though we do not have a snowy Christmas here in Australia, I love the idea or the romance of a snowy Christmas scene, though I don't envy the cold one little bit! 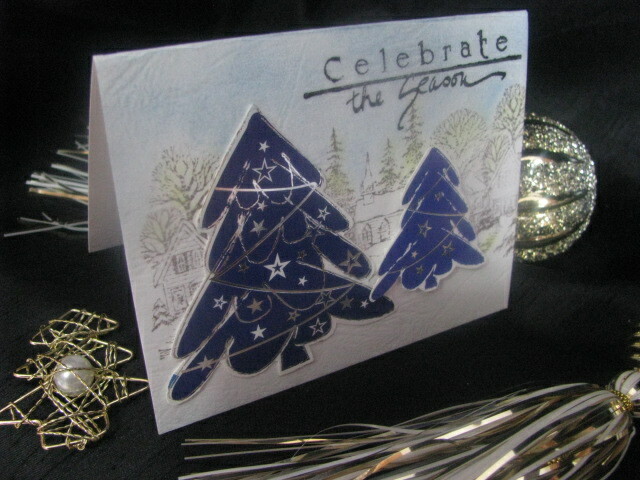 These cards will be available at my zibbet shop, "Inkspirational Designs" soon! If you are in a hurry, you can send me a private message and I will get back to asap. Thanks for coming. I hope I have inkspired you to get stuck into using the accumulation of your own stash of stuff . Come back tomorrow for Part 2. Less is more - another try. Am I the only one who has too much stuff?